Monday, when i was at work, there was a guinea pig exodus. I placed the cage in the long grass, but was unaware of the hole that was perfectly aligned with the 2 x 4. So, once they had eaten the lush grass out of the pen, they snuck underneath for greener pastures. Of course, this included the porch area of our home. So, I got all but Creme Puff and Pop back. I managed to catch Creme on Tuesday. Just to refresh, Pop is literally only a month old… And is alone, camped out underneath the porch. Silly piggies! 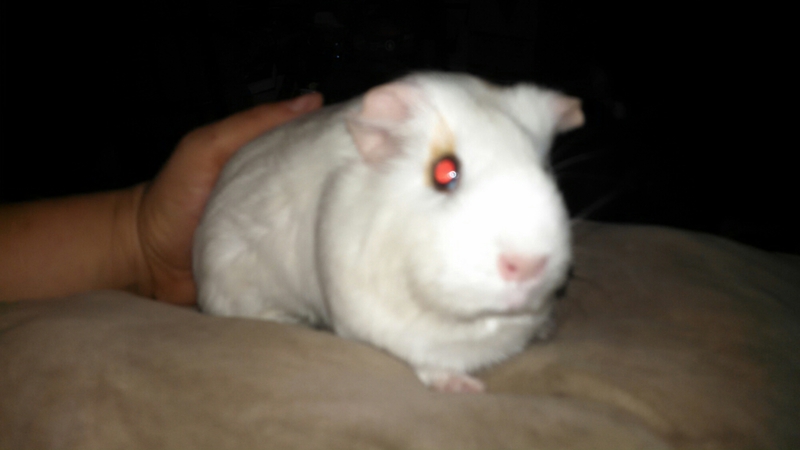 But, I digress… And craigslist has been good this week for female guinea pigs!!! Four of them for free (or nearly). All have bright eyes, and clear noses. 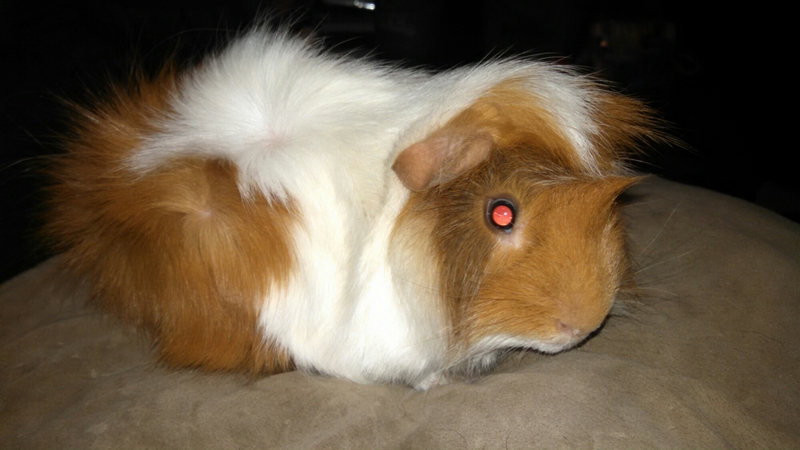 Toffee is a primarily orange and white Piggie with brown around her eyes. She came to me on Tuesday night. She is super friendly, and I already caught her bouncing around the cage today. She is about 2 years old. Then, I picked up a pair of sisters. Albie (short of Albic, a soil term for really white soil) and Oxie (oxidized). They are between 1-2 years. Also are moving very well, considering that the green cage is mighty full. Really need to build another one. Sadly, most of these piggies were abandoned by the children that were supposed to take care of them. Usually, I cannot tell what happens to pigs before they come, but poor Chansa embodied this. Chansa is very, very thin. 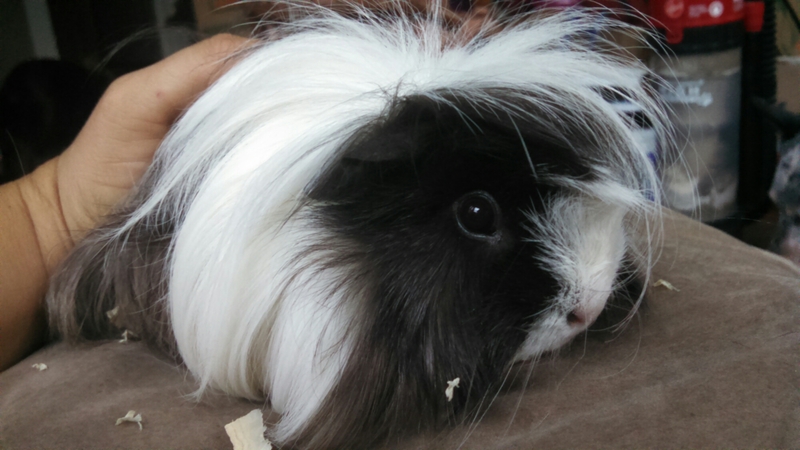 She is a long haired pig (beautiful dark chocolate and white). Chansa is my first long haired piggie. However, her body was so covered in mats (it looked like somebody tried to give her dreadlocks) that I had to spend 20 minutes cutting them out. Some were wet and poop covered, which gave her sores. 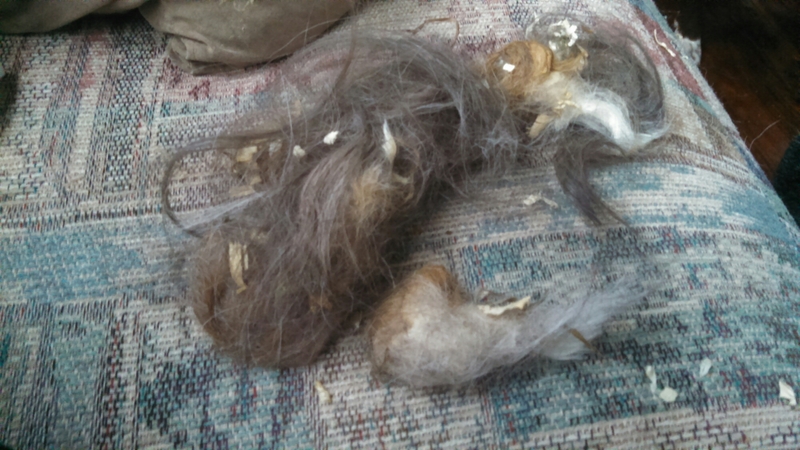 Now she is resting, as I had to cut most of her rear hair off. Poor baby. Some of the mats i cut out. Hopefully she loves her new home.